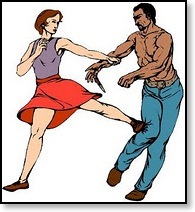 I've been teaching Vancouver area women's self-defense classes for many years now. I've seen all sorts of classes offered by a wide variety of martial arts instructors. The problem is that while many of these instructors are skilled martial artists, they are not necessarily self-defense instructors, and don't run a class that takes into account the realities of what women face. 1. Lack of understanding of the anatomy of an attack on a woman. There are a lot of misconceptions of what the typical assault or attack on a woman consists of. Many people imagine the worst, a woman being brutually and mercilessly attacked and/or raped by some stranger in some back alley. The truth of the matter is that the majority of assaults on women in North America (I won't generalize about the rest of the world) are performed by men that are previously known to the woman. Also, the majority of attacks are performed in a home or motor vehicle. Knowing these facts, an instructor should provide information to help prevent these situations, which leads to the next point. 2. Under-emphasis on use of awareness, intuition and de-escalation tactics. Many women's self-defense courses place more emphasis on physical combat because that is what the instructors know more about. But ultimately, the vast majority of the incidents women face can be avoided by helping women to identify predatory behaviour through awareness, by listening to their intuition and then empowering them to make decisions and take actions to protect themselves in whatever situation they face. 3. Over-complicated defensive combat techniques. Whether a class is only a few hours long or several classes over a few weeks, women's self-defense classes are generally short-term classes. Women don't usually continue to train the techniques regularly once the course is over. That being the case, it's a waste of time to teach women techniques that take lots of time to learn and become proficient at. Even if they do manage to learn them, it's doubtful they'll retain the skills over the long term and be able to apply them under the stress of an attack. 4. Lack of Emphasis on the Psychology of Self-defense. In North America, the typical man who attacks a woman is not looking for a challenge, they're looking for an easy victim. If a woman is targeted, part of their physical defense strategy should encompass the idea of unequivocally demonstrating that they are not one. Whatever physical defense is taught, women should also learn to be loud and vocal to gather witnesses and increase the risk of the attacker getting caught, which they obviously don't want. They should also be taught to fight the response of freezing in fear by harnessing anger so they can channel the resulting adrenaline dump into a fight response that is more likely to make an attacker think twice about his choice of victim. At the end of the day, without extensive training, a woman is not likely going to be able to mount enough of a physical defense to stop a determined male attacker who refuses to back down no matter what the consequences. Fortunately, most attacks are not like this and can be stopped simply by being an unappealing victim and can be altogether prevented just by understanding and applying safety measures in daily life. This is why a proper, useful women's self-defense class is NOT just a bunch of physical combat techniques. It teaches the whole package. And if a woman wants to learn more and become better equipped at the physical aspect, they can always sign up for ongoing martial arts training that continues to build on that foundation.